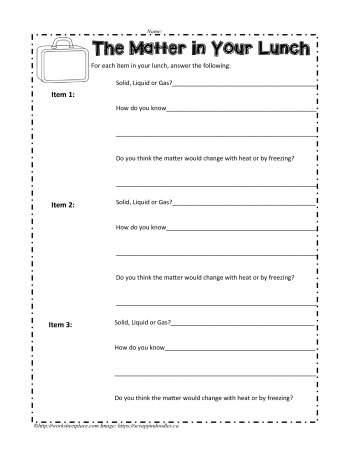 Analyze your lunch for the types of matter you have. 2nd grade matter worksheet. Changes of state worksheets for grade 2 science.